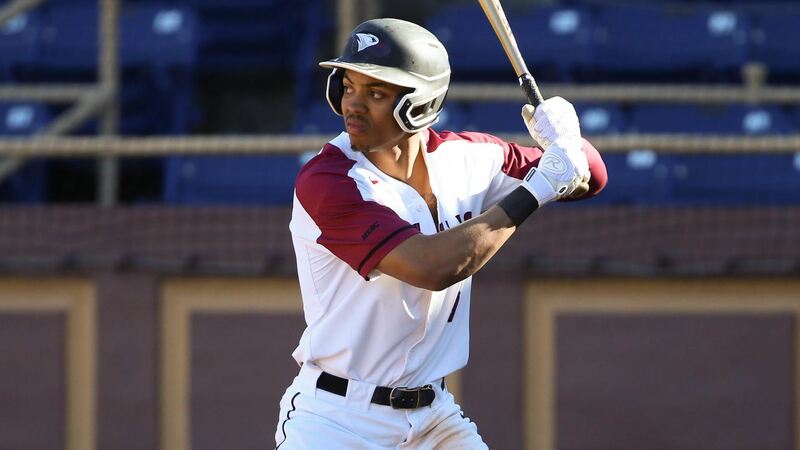 North Carolina Central University used a bases-loaded sacrifice fly in the bottom of the eighth inning from Timmy Fischvogt (Kernersville, N.C.) to get a 10-9 win over Davidson in a slugfest on Saturday, April 6 at the Durham Athletic Park. The Eagles reached a new season-high with 16 hits, surpassing the 15 against Bethune-Cookman back on March 15. Josh Brammell (Harrison City, Pa.) wasn’t retired once during the contest as he went 3-for-3 with two walks, and picked up an RBI with three runs scored. Vinny Bailey (Raleigh, N.C.) brought in a team-high three RBI as he hit his fourth home run of the year, and Caleb Coyle (Wake Forest, N.C.) had a three-hit night with his seventh double of the season. Corey Joyce (Lexington, N.C.) had two hits for two RBI, and Carter Williams (Brown Summit, N.C.) also drove in two RBI on three hits, including his 11th double of the campaign. NCCU finishes the two-game set with Davidson on Sunday, April 7 at 2:00 p.m. on the road at Wilson Field. The Eagles will return home on Tuesday, April 9 against Duke at 6:00 p.m. at the Durham Athletic Park.